With the growing consumer base, a number of shops have opened up offering anything and everything under the same roof. But you can save ample amount of money if you know the right place to shop in Hyderabad. Though there has been an increase in the popularity of Malls and Western Style Outlets, Wholesale markets have not lost their Sheen and continue to be an essential part of economy. These markets not only offer the consumer various options but also save a lot of money. This article provides information about the famous wholesale markets in Hyderabad and the products that they deal in. Kothapet Fruit Market is also known as Gaddiannaram Fruit Market. 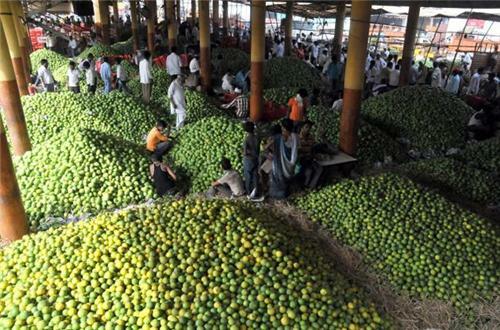 It is considered to be the largest fruit market in whole state of Andhra Pradesh. Trucks loaded with all kinds and qualities of fruits start arriving in the market as early as 4: 00 AM every day. Local Merchants get their supplies of fruits from Kothapet fruit market. All kinds of seasonal and non – seasonal fruits from all over the country are available here at very reasonable prices. So if you are a fitness conscious person or a fruit lover then Kothapet fruit market is a paradise for you. It is best to reach the market early in order to avoid rush and get best quality of fruits. It is located at a distance of 2 Km from the Naya Paul Bridge in Old Hyderabad City. Begum Bazaar is a famous wholesale market for household commodities. It is the largest market in the city and a very old one. Search for your household commodities end at Begum Bazaar as Household commodities of all brands, shapes and sizes are available at reasonable prices. It is also the biggest market of tobacco and plastic bags in whole of South India. Several brassware shops too have been setup in the market recently. The only down side of the market is the congestion and unhygienic roads. General Bazaar lies in the middle of Secunderabad. It ranks second in terms of size after Begum Bazaar and is ranked as the second largest wholesale market of sarees in Hyderabad. 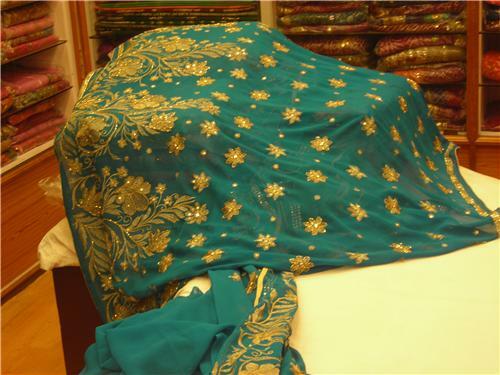 There are various shops and showrooms in the market that have sarees from all over the country on display. You can find all varieties of sarees according to the occasions at very reasonable cost in General Bazaar. Apart from the sarees, General Bazaar is also famous for household commodities, products for kids and bangles. You can find all the products of your need in the traditional shops of General Bazaar at cheap prices. There are many coffee shops and restaurants in the market if you feel like eating or need some refreshment. Formerly named as Residency Bazaar, Sultan Bazaar is the most crowded and busy commercial area in the city. You can find all the things of your need on a single road. Famous products include Women wears, slippers, shoes, bangles and other accessories. Sultaan Bazaar is linked well with the city through Buses and Trains. Kachiguda and Malakpet are the nearest MMTS train stations. 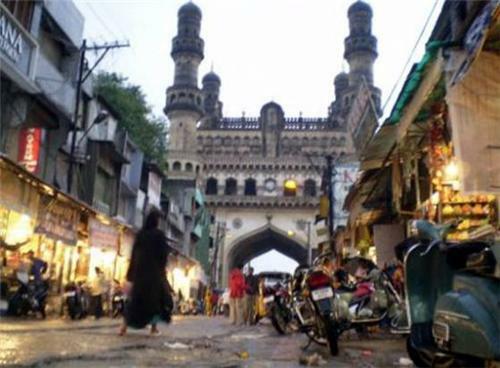 Laad Bazaar is located on the west side of the Charminar and has the real essence of Hyderabad.It has been in operation since the time of Nizams & Qutb Shahis. You can see burkha clad women at all the bangle shops, wooden houses with balconies, all this in a narrow lane. Laad Bazaar is mainly famous for Bangles. 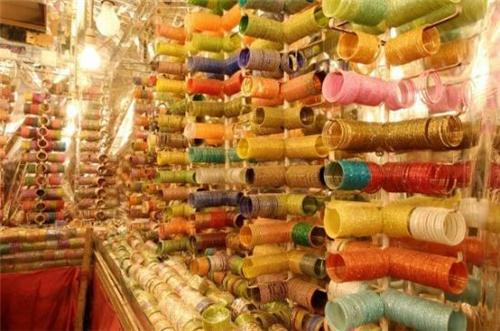 On one side of Laad Bazaar are various Bangle shops glistening with bangles of various designs, shapes and colours while the other side is decorated by shops selling traditional Hyderabadi products like cosmetics, bridal accessories, perfumes etc. Jummerat Bazaar i.e. ‘Thursday Market’ is a rather special market which is setup every Thursday in Dhoolpet. It is a flea market and most of the stuff is supposedly stolen because of the amazing cheap prices at which they are offered. For example, you can get whole cricket gear at an impossible price of ten US Dollars after some bargaining. 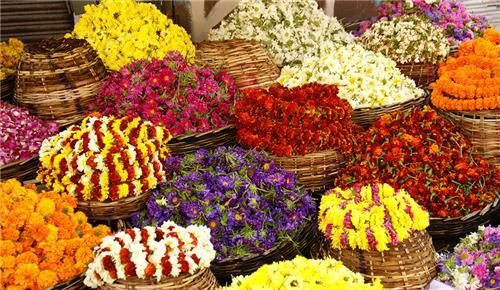 These are some of the famous Wholesale markets of Hyderabad. Jagadish Market, Bangladesh Market, Abids Sunday book Market are some of the other places you might consider to visit. I looking for women embroded shoes and sandals. Hi! Kindly go through our article and visit the markets for the details. Hi! You can contact the shops of wholesale markets to buy plastic mats at nominal prices.